ManageEngine recognized in 2019 Gartner Magic Quadrant for Application Performance Monitoring. ManageEngine recognized as a January 2019 Gartner Peer Insights Customers' Choice for Application Performance Monitoring Suites as reviewed by customers. ManageEngine recognized as a January 2019 Gartner Peer Insights Customers' Choice for Application Performance Monitoring Suites based on 98 reviews with an average rating of 4.4 out of 5 from APM customers worldwide. APM suites were rated across four categories: Evaluation & Contracting, Integration & Deployment, Service & Support, and Product Capabilities.You can read the reviews here. Disclaimer : All ratings and reviews are current as of March 5, 2019. Gartner Peer Insights Customers’ Choice constitute the subjective opinions of individual end-user reviews, ratings, and data applied against a documented methodology; they neither represent the views of, nor constitute an endorsement by, Gartner or its affiliates. Software Reviews, a division of Info-Tech Research Group, has called OpManager a leader in its recent Network Monitoring Category Software Review. Out of ten network monitoring software vendors, OpManager emerged as a gold medalist and ranked #2 in the data quadrant.The ranking is based on product features, customer satisfaction pulled from over 500 reviews. Learn more. ManageEngine has been recognized by Gartner in its Network Performance Monitoring and Diagnostics Magic Quadrant 2018. ManageEngine has been recognized by Gartner in its Network Performance Monitoring and Diagnostics Magic Quadrant for providing a low cost and simple NPMD solution, with a focus on infrastructure monitoring for small and mid-market enterprises. ManageEngine has a substantial portfolio and customer base, with thousands of installations worldwide. Read more. ManageEngine OpManager has been awarded the 2018 value leader in the EMA Radar for Enterprise Hybrid Infrastructure Management. According to EMA?s 2018 Radar for Enterprise Hybrid Infrastructure Management (EHIM) report, OpManager received the third-best score for cost-advantage among the evaluated vendors. EMA said, Its pricing is especially attractive for small and mid-sized deployment scenarios, but large enterprise deployments are also competitively priced.î Read the report here. 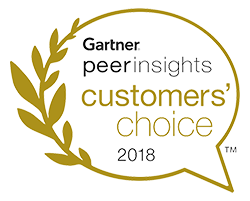 Service Desk Plus received the Gartner Peer Insights Customers' Choice distinction based on over a hundred (113) reviews from ITSM professionals worldwide. The Gartner Peer Insights review process involves users analyzing software based on various parameters, including key factors that led them to purchase the product, other tools they had considered, their technology adoption bias for the implementation, and their overall rating of the tool. Read reviews of ServiceDesk Plus in Gartner Peer Insights here. 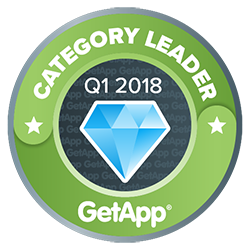 In a recent survey, GetApp used five factors capabilities and integrations, user reviews, mobile app availability, media presence, and security to identify the top help desk and ticketing apps hosted in the cloud. ServiceDesk Plus, available both on-premises and in the cloud, was identified most for its mobile app availability, media presence, and security categories. Read the complete list here. PinkVERIFY™ is a service that evaluates IT service management (ITSM) tool sets for ITIL compatibility. For a tool to be certified in a certain process, an ITSM vendor must go through a rigorous assessment process meeting 100 percent of the general, core and integration suitability requirements. ServiceDesk Plus cleared the assessment with a Pink Elephant consultant thus confirming its alignment with ITIL best practices. Currently 3 modules in ServiceDesk Plus-incident management, change management, and request fulfillment-are officially certified as ITIL® compliant by Pink Elephant. Read more. 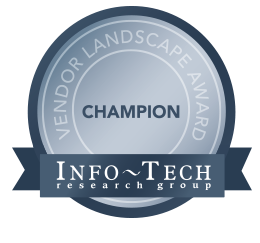 ServiceDesk Plus has been named a champion in Info-Tech Research Group's 2017 Mid-Market Service Desk Vendor Landscape report. This report is designed to help organizations select a mid-market service desk solution by providing a list of the top vendors. For each vendor, the report details their strengths and challenges, as well as their "Value Score." Vendors are evaluated based on multiple factors, such as their reach, viability, features, and the usability of their offerings. Download the complete vendor landscape here. 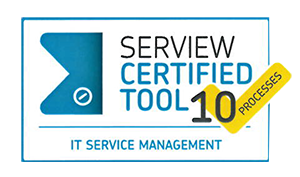 The "SERVIEW CERTIFIED TOOL" quality seal for a total of ten processes across modules including service design, service transition, service operation and continual service improvement phases confirms the ITIL-compliance of these processes in ServiceDesk Plus. Serview, the IT consultancy firm from Germany, evaluated ServiceDesk Plus on more than 600 assessment criteria across multiple areas including service level management, incident, problem, change,asset and configuration management, and Knowledge management. In addition to the ITIL conformity in the mentioned modules , the seal also confirms ServiceDesk Plus' consistent usage of the essential ITIL terminology across the product. Read more. Enterprise mobility management (EMM) solutions serve as critical tools to balance not only the employee experience, but the security of enterprise resources as well. The Forrester Wave™: Enterprise Mobility Management, Q4 2017, is a report containing the evaluations of EMM providers. ManageEngine has been recognized as a Challenger in this arena. Recognizing the shift in endpoint management trends, International Data Corporation (IDC) has released their latest IDC MarketScape: Worldwide UEM Vendor 2017 Assessment report. This report is designed to help organizations select an appropriate UEM solution by providing a list of vendors in the industry. Read the complete report https://goo.gl/pshkWm. This IDC MarketScape report represents a vendor assessment of 14 providers offering enterprise mobility management (EMM) software. It takes into account both qualitative and quantitative characteristics that define current market demands and expected buyer needs for EMM software. To get a complete grasp of the current EMM landscape and a look into the future of EMM, download an excerpt of the report at https://goo.gl/ioo4vf. ManageEngine wins "Network Management Vendor of the Year" award in The ICT Champion Awards 2017, organized by the Integrator Magazine, Dubai. The Integrator Awards were launched in 2013 to recognize outstanding achievements in key categories representing the value side of the ICT industry. Network World ME Awards recognises and celebrates networking excellence in the Middle East. It is open to both users and vendors alike. 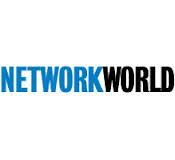 Network World ME Awards honours IT and business pros who have demonstrated innovative leadership on all sides of the industry. 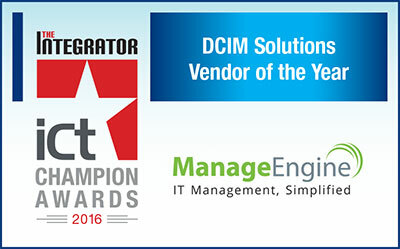 ManageEngine wins "DCIM Solutions Vendor of the Year" award in The ICT Champion Awards 2016, organized by the Integrator Magazine, Dubai. Independent Research Firm Names Password Manager Pro a "Strong Performer"
In our 22-criteria evaluation of privileged identity management (PIM) providers, we identified the 10 most significant vendors — Balabit, BeyondTrust, Bomgar, CA Technologies, Centrify, CyberArk, Dell, Lieberman Software, ManageEngine, and Thycotic — and researched, analyzed, and scored them. This report shows how each provider measures up and helps security and risk (S&R) professionals make the right choice. EMA Radar 2016 recognizes Mobile Device Manager Plus as "Strong Value" provider. Leading analyst firm, EMA has featured ManageEngine Mobile Device Manager Plus in its EMA Radar for Mobile Device Management. Mobile Device Manager Plus has been positioned as a "Strong Value" provider. EMA evaluated vendors broadly based on core product strength and cost efficiency. Use this report today to gain more insights on the MDM market, Mobile Device Manager Plus and why it is appropriate for your organization. ManageEngine AssetExplorer recognized as the best overall 'value provider' in the Info-Tech IT asset management vendor landscape. Yet another winning streak! 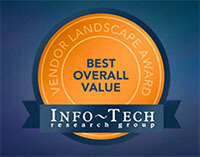 AssetExplorer has recently been awarded the "Value Award" and listed as a "Market Pillar" in the recent Info-Tech Research ITAM vendor landscape. Many organizations are wasting I&O budget on disparate monitoring tools for servers, network and storage systems, as architectures become more modular and cloud-centric. I&O leaders should use this guide to better understand market fundamentals for holistic IT infrastructure monitoring tools. Most infrastructure and operations (I&O) organizations have already adopted IT service management (ITSM) tools in some form, with many aggressively expanding their use cases. These solutions still focus on managing incidents, problems, and changes, but today's workforce needs services, processes, and technologies anywhere and at any time so that they can continuously win, serve, and retain customers. Thus, I&O leaders are seeking greater automation and better tools. This report details the landscape of ITSM software-as-a-service (SaaS) solutions. In an increasingly digital era, APM suites are becoming more and more critical to the business. This evaluation of APM suite capabilities across five usage scenarios is designed to assist IT planners as they look to support mission-critical e-commerce and other services. Application performance management (APM) has graduated from monitoring back-end systems to helping delight customers. Infrastructure and operations (I&O) professionals tasked with managing today's complex technology face choosing from a dizzying number of vendors to keep critical client-facing systems up and anticipate problems. This report segments the market and describes the common set of capabilities around which vendors will coalesce. The IGA market is transforming legacy, on-premises IAM products. IGA vendors are investing heavily to meet client needs in ease of use, mobility, business agility, and lower total cost of ownership. User provisioning and access governance functions continue to consolidate. Microsoft's Active Directory (AD) has evolved into the most widely used enterprise repository for digital identities. AD's growing importance also means it's a tempting target for hackers who attack AD infrastructure to elevate privileges and pilfer data. Increasing AD security requirements have led to the creation of targeted solutions. This report examines seven vendors for AD security and governance (ADSG) and gives security and risk (S&R) pros recommendations for successful implementations. SIEM technologies are pivoting from compliance to threat management, with vendors offering divergent security monitoring visions. When evaluating SIEM, IT security managers should align their needs with one of the three most common use cases. Desktop Central Positioned in the Gartner Magic Quadrant for the Second Consecutive Year! Leading analyst firm, Gartner has recognized ManageEngine Desktop Central in its magic quadrant for client management tools. Desktop Central has been positioned in the niche catogery. Use this report today to gain more insights into the Desktop Management market and understand what Desktop Central can do for your organization. The growing diversity of client management tool capabilities means that organizations must be careful to ensure a good fit when procuring these applications. End-user computing managers need to evaluate the critical capabilities of CMTs in specific use cases to assess the relevant vendor offerings. ManageEngine has been featured in the Gartner Magic Quadrant for APM for the fifth consecutive year. We believe this reflects the faith that our customers have in us in a constantly evolving APM scenario. ManageEngine is a providerof a wide range of IT service and ITOM tools. While located in Pleasanton, California, the company is owned by Zoho Corporation, based in India, which has a broad portfolio of enterprise applications. ManageEngine's focus - while it does have enterprise clients - is the midsize market, with significantly lower-priced APM products and services that are available via downloads from its website. ManageEngine provides both on-premises and SaaS products, addressing the various needs of customers, including privacy concerns and ease of use, which are particularly important to SMBs. ManageEngine has presence in all of the key geographies, and while it does not spend anywhere near what its competitors spend on marketing and promotion activities, it has a sizable and loyal customer base of midsize organizations. Mobile application performance monitoring solutions target the visibility needs of a wide range of enterprise users. This research is intended to help IT operations teams within enterprises understand the breadth of mobile APM solutions to guide investments in a rapidly changing market. Leading analyst firm, EMA has featured ManageEngine Mobile Device Manager Plus in its EMA Radar for Mobile Device Management. Mobile Device Manager Plus has been positioned as a "Strong Value" provider. EMA evaluated vendors broadly based on core product strength and cost efficiency. Use this report today to gain more insights on the MDM market, Mobile Device Manager Plus and why it is appropriate for your organization. The IGA market is maturing into an early mainstream phase. IAM and security leaders should take note of emerging requirements around more risk-aware identity approaches and cloud adoption that are causing innovative vendors to integrate analytics with adjacent IT and data security technologies. ManageEngine ADAudit Plus was selected the winner in the Network Auditing Solution category of the WindowSecurity.com Readers' Choice Awards. Alchemy Lab Network Administrator's Toolkit and Netwrix Auditor were runner-up and second runner-up respectively. ManageEngine wins "DCIM Solutions Vendor of the Year" award in The ICT Champion Awards 2014, organized by the Integrator Magazine, Dubai. The Integrator Awards were launched in 2013 to recognize outstanding achievements in key categories representing the value side of the ICT industry. This is in parallel to the VAR COC Awards that saw its 9th edition in March 2014. These awards are now being consolidated under the common banner of 'The ICT Champions Awards'. The ManageEngine EventLog Analyzer has most of the features you would expect in a SIEM. There is a useful set of predefined reports addressing various compliance demands (such as PCI-DSS, FISMA and HIPAA), user activity reports, privileged user monitoring and auditing (PUMA), failed logons, object access and more. Based on the cost of the product, this is a good value for companies. Info Security Products guide, the industy's leading information security research and advisory guide has declared ManageEngine's Security Information and Event Management software - EventLog Analyzer as ‘Gold Winner’ in Security Products and Solutions for Medium Enterprise category. 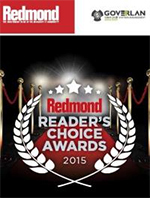 Annual Redmond Third-Party Reader's Choice Awards ManageEngine ADManager Plus the Silver Winner in Active Directory Provisioning/Administration category for the year 2014. ADManager Plus adds yet another feather to its hat with a podium finish as the runners up in the Group Policy Management category in Windowsecurity.com Reader's Choice awards. Windowsnetworking.com Readers' Choice Runner Up in the AD Management Category for the years 2013 and 2014. ADManager Plus adds yet another feather to its hat with a podium finish as the runners up in the Active Directory management category in WindowsNetworking.com Reader's Choice awards. Virtualizationadmin.com is a resource portal with information about all types and aspects of virtualization, from virtualizing your network to tuning your virtual infrastructure. In 2014, they awarded Applications Manager the gold award for their expertise in virtualization monitoring. Leading APM toolsets and service offerings support all five functional dimensions; however, their risks and benefits vary by use case. IT leaders should select APM technologies based on their communities and the use cases that are most critical to their businesses now and in the foreseeable future. IT service support management tools are top of mind among infrastructure and operations leaders looking to manage IT services and foster better relationships with the business. This evaluation of ITSSM tools' critical capabilities in five use cases will help IT leaders assess suitable products. The client management tool market is diverse, with great variability among the products. This research evaluates eight critical capabilities of client management tools within four use cases to help end-user computing managers evaluate the spectrum of offerings. The privileged identity management (PIM) market has matured significantly during the past three years, and it continues to play a significant role in protecting an organization's data and in business continuity. In Forrester's 18-criteria evaluation of privileged identity management vendors, we identified the nine most significant solution providers — BalaBit, BeyondTrust, CA Technologies, Centrify, CyberArk, Dell, Hitachi ID, Lieberman Software, and Thycotic — in the category and researched, analyzed, and scored them. This report details our findings about how well each vendor fulfills our criteria and where they stand in relation to each other, to help security and risk (S&R) professionals select the right partner for their privileged identity management. Establishing controls around privileged access continues to be a focus of attention for organizations and auditors. Security leaders must be prepared to address the inventory, classification and use of privileged accounts. A thriving market provides many options for tools to help with these tasks. Network Products Guide is the industry's leading technology research and advisory guide that plays a vital role in keeping decision makers and end users informed of the choices they can make in all areas of information technology. Applications Manager has won Silver in the 'Business Transaction Management' category of 2013 Annual Network Products Guide awards. "In the case of Applications Manager, I have to give the product a perfect rating of 5.0. That's a WindowsNetworking.com Gold Award. I just could not find anything wrong with the product. In fact, if it were up to me I would throw out the Gold Award and give the product a platinum or a diamond award if such awards existed on WindowsNetworking.com"
Windows IT Pro Awards 2013: ADManager Plus wins the Community Choice Silver for the third consecutive year. Continuing the winning streak, ADAudit Plus, Windows security and compliance monitoring solution has won the coveted ‘Hot Product of the Year’ award from Windows IT Pro based on its community choice survey for the ‘Best Auditing & Compliance’ product. There can't be a better finish to an eventful year. Just a couple of weeks back, ManageEngine ADAudit Plus was crowned the ‘Hot Product of the Year’ by Windows IT Pro community. Now, in a fitting finish to the fabulous year 2013, here comes yet another recognition – second runner up title (in the best network auditing solution category) from WindowSecurity.com readers’ choice awards. While taking pride on winning these awards, we reassure our commitment to ship even better features and delight our customers. "What I like most about EventLog Analyzer is the attention to details that make the user experience better, which are apparent throughout the interface... the vendor (ManageEngine) actually cares about what the IT pros using their solution want and need...This solution manages to be extremely full featured without being complicated... I never encountered one of those dialog boxes that makes you want to pull your hair out because you don't know what it's asking for, and I never had to puzzle for long over how to accomplish any task." We find this product to be a good value for the money. The EventLog Analyzer provides some very solid SIEM functionality at a reasonable cost... Overall, we find this solution to be easy to deploy and manage in any size environment and to have a solid price for the feature set. ManageEngine is proud to be recognized as an innovator in the IT security industry whose Firewall Analyzer has been selected as Most Innovative Security Product (Software) of the Year Bronze Winner by Info Security Products Guide for the 2013 Global Excellence Awards. "We have always believed in staying ahead of the curve in both technology adoption and product innovation," says Ajay Kumar, product marketing manager, ManageEngine. "This recognition from Info Security Products Guide is a testament of ManageEngine's commitment to help organizations successfully address their IT management and security challenges." ManageEngine, the real-time IT management company, is happy to state that its Firewall Analyzer product deployment has been selected as a 2013 Global Excellence Awards for the Best Deployments and Case Studies (Asia Pacific region) category, by Info Security Products Guide. It recognizes ManageEngine's successful deployment of Firewall Analyzer to help Collabera gain complete visibility into their client's network security infrastructure. 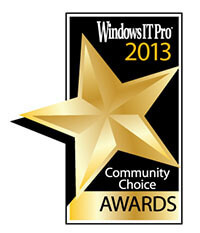 Desktop Central Wins Community Choice Awards from Windows IT Pro Magazine! 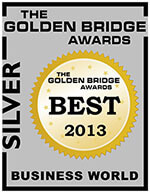 This year (2013), at the Golden Bridge Awards, our customer Matt Rooney won silver for his company, BMI Healthcare, in the Best IT Team category. Matt is BMI Healthcare's IT Desktop Manager and has been a loyal customer. We are honored to have played a role in helping Matt achieve this significant victory for his company. Desktop Central fits the bill perfectly for many organizations. Its straightforward software installation is one such feature that makes installation an absolute no-brainier. It is an easy-to-use product with great features and a price point putting it within reach of any organization. If you want to know more about the review, visit http://bit.ly/13hbpMb. Desktop Central is certified and approved for use on US Navy networks. 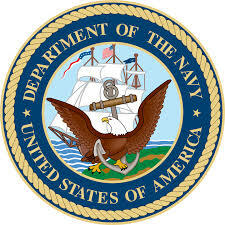 The DADMS(Department of Navy Application and Database Management System) is the authoritative list of software applications for use within the U.S. Navy and U.S. Marine Corps. Windows IT pro surveyed the free tools that are available in the market to help with Windows administration. They have shortlisted Top 10 vendors for and Desktop Central stands at Number 3.With a host of desktop management features such as software deployment, patch management, mobile device management, etc. Desktop Central ranked top third in windows server administration tools. "Readers' Choice Awards give visitors to our site the opportunity to vote for the products they view as the very best in their respective category," said Sean Buttigieg. The award serves as a mark of excellence, providing the ultimate recognition from peers within the industry. ManageEngine OpManager is runner-up and second runner-up respectively. We are pleased to report that ManageEngine AssetExplorer has been recognized as a Market Pillar in the Info-Tech Research ITAM Mid-Market Survey. The is one of the most comprehensive studies in the ITAM market in recent times. Apart from profiling 7 prominent vendors in the market, the survey included assessing factors for vendors like strength of their offering, strong market presence and end user reputation amongst others. The Windows IT Pro Community's continued trust on our product makes us to reassure our commitment to ship even better features and delight our customers. This award is very much special because this recognition comes from the Windows IT Pro community, which is the heartbeat of the Windows IT world. 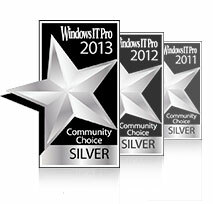 Windows IT Pro Awards 2012: ADManager Plus wins Editors' Best & Community Choice Silvers. Once again, ADManager Plus gets the vote of the expert reviewers and also our customers to bag the silver awards for the Editors' Best as well as the Community Choice in the Best Active Directory/Group Policy Product category, for the second year in a row. Desktop Central Listed on Network World Products of the Week. ManageEngine, the real-time IT management company, is happy to state that its Firewall Analyzer product has been selected as a Best of Interop finalist for the Security award category, recognizing ManageEngine's technological advancements in this specific category. The real-time IT management company, today announced that it is listed as an "Innovator" in the Info-Tech Research Group "Vendor Landscape: Systems Management" report. 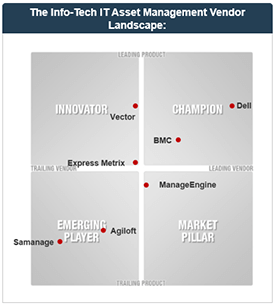 In the report, several ManageEngine products are highlighted as key contributors to its Innovator ranking, including the company's integrated IT management solution, IT360; its performance monitoring software package, Applications Manager; its server and desktop management software, Desktop Central; and its flagship network monitoring software, OpManager. The full-service IT analyst firm also gives the Value Award to ManageEngine for its comprehensive, affordable solution. ManageEngine EventLog Analyzer has been reviewed in SC Magazine's Group Test for SIEM products and the final verdict from SC Magazine cites EventLog Analyzer to be a very good value for money for enterprises that are looking for a good SIEM with solid functionality. EventLog Analyzer has been awarded the prized Certificate of Networthiness (CoN) by the 9th Signal Command of the United States Army. The Certificate of Networthiness is the basic qualification for any software to be deployed into the armed forces of the United States. The army has a selection process that is as elaborate and strict as they have it for their personnel. ADManager Plus has been awarded the prized Certificate of Networthiness (CoN) by the Network Enterprise Technology Command (NETCOM) of the United States Army. ADManager Plus has been conferred a "Three-Diamond" rating by Windows IT Pro Magazine! 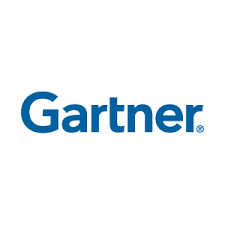 Makers of a suite of cost-effective, enterprise-grade network, systems, applications, and security management software solutions, today announced that it has been included by Gartner, Inc., a leading industry analyst firm, in its Magic Quadrant for Application Performance Monitoring. ManageEngine has a solid track record of traditional systems management tools, offering 80% of the big dog's features at less than 20% of the cost. Now they are hooking into VMware APIs, for less than $2K to manage 25 servers. That gets our attention, and if you happen to be a small to medium size business operating in the dark troubleshooting application performance issues it's worth taking a look. Windows IT Pro is the leading and largest independent voice in Windows IT, with more than 2.5 million visits per month. Applications Manager has won Silver in the 'Best Systems Monitoring Product Windows IT Pro - Editor's Best' category and Bronze in the 'Community Choice' category at the 2010 Windows IT Pro awards. Softpedia guarantees that ManageEngine Applications Manager 6.0 is 100% CLEAN, which means it does not contain any form of malware, including but not limited to: spyware, viruses, trojans and backdoors. Info-Tech Research Group has concluded that ManageEngine Desktop Central Triumphs in Desktop Management. This places ManageEngine ahead of the 'Big-4' and stands testimony to Desktop Central's expertise in providing effective solution for desktops and mobile devices management. And, the "Value Award" for ManageEngine conveys that the product is worth every penny. AUSTIN, TX, April 15, 2010 – ManageEngine, makers of a globally renowned suite of cost effective network, systems, applications and security management software solutions, today announced that leading Windows Networking resource site, WindowsNetworking.com, has declared the selection of ManageEngine OpManager as second runner-up in the Network Monitoring & Management category of the WindowsNetworking.com Reader's Choice Awards. AUSTIN, TX--(Marketwire - March 17, 2009) - ManageEngine, makers of a globally renowned suite of cost effective network, systems and security management software solutions, today announced that ManageEngine OpManager, the company's flagship network management application, has been named a finalist in the prestigious Software & Information Industry Association's (SIIA) 24th Annual CODiE Awards competition. Desktop Central 6.0 was selected under Desktop management product category the spotlight category was Spam Blocking with a Human Element. Our product was named for managing Desktops witout a VPN connection.